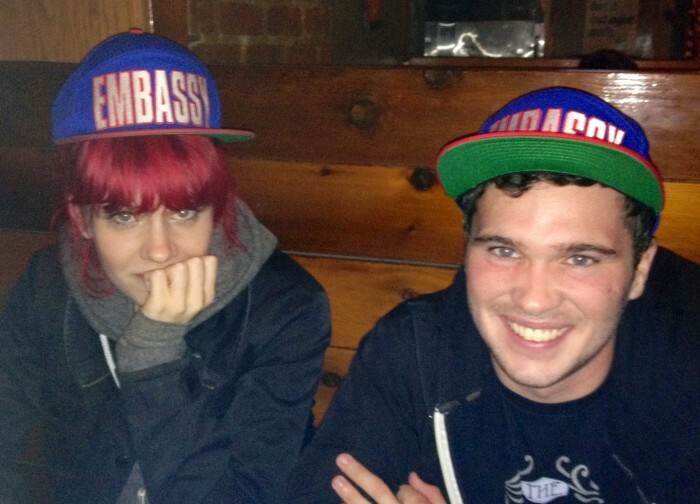 Chris Henry hooked up this pic of Andrew White and Julia in matching Embassy swag. Andy’s got some dope clips in his FU5 section, which should be dropping real soon. Get ready, it’s the bomb.